The Products: Each box contains a limited embroidery kit from Innocent Bones, as well as stationery items and other creative supplies. 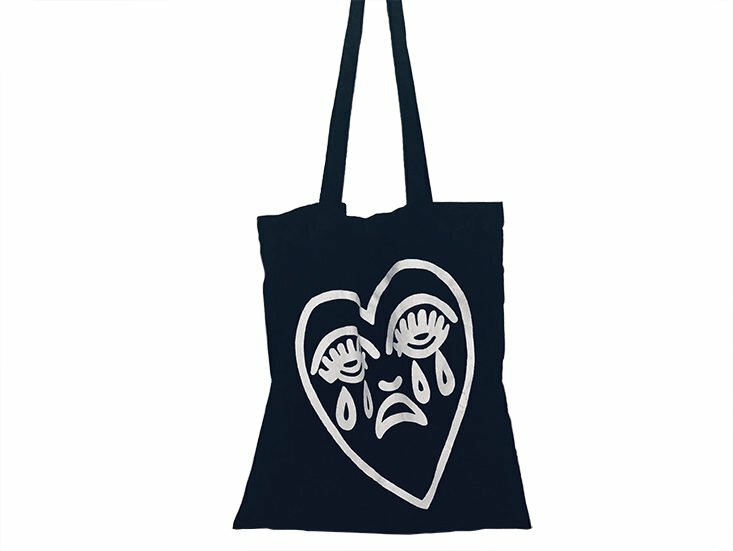 I’ve been using this tote to carry boxes to the post office, and the angsty face is a good representation of my mood when waiting in long holiday queues. It’s a good size and holds quite a bit. This little pin has the same image as the tote bag, for a smaller dose of tearful love. I’m surprised they managed to fit so much detail into this little pin. The tiger looks like it’s sticking its tongue out! I can always use more pretty items for my desk, so these are a welcome addition. This embroidery hoop felt a little rough but got the job done. The rest of the embroidery kit was packaged in this cute striped bag. Each Innocent Kit will feature a different limited edition embroidery kit from Innocent Bones. I’m not sure of the value because it’s a departure from their usual aida cloth kits. This one has the design printed onto cotton instead. The kit includes instructions and a stitch guide. The guide suggested either a chain stitch or a simple backstitch. I went with the chainstitch, but it did look kind of lumpy when worked with the recommended six strands of embroidery floss. I think it would have looked better worked with three strands. The printed pattern was a little too big to work on the hoop, so I had to change the placement a couple of times in order to work the whole piece. I decided to backstitch the lettering so that it wouldn’t look as bulky as the rest. I love that Innocent Kit includes some muslin to put on the back of the piece. It makes it seem more finished. Here’s the end result! As you can see, the design goes right to the edge of the hoop, and the fabric isn’t pulled as taut as I’d normally have it. Also, you can see the black thread through the cotton, so that could be an issue if you do a lot of zig-zags on the back. However, I still think the end result is cute. Verdict: I estimate a value around $30, not including the cotton, floss, and needle used in the kit. I really liked the tote and pins from this month’s featured partner, Cousins Collective. I also like that they’re branching out from cross-stitch kids, though if I were working this one again, I’d make a few changes and would use a bigger hoop. Can you still get this box if you sign up today? 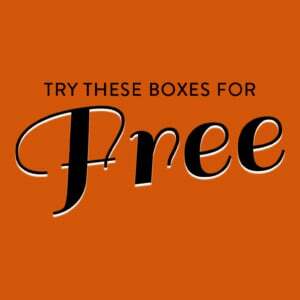 November’s box is still available as an individual purchase, but if you sign up now, you will receive the December box. 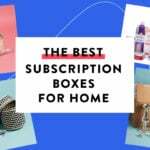 Check out more craft boxes in the Craft + DIY Subscription Box Directory! What do you think of November’s Innocent Kit? Désirée has survived the subscription box rollercoaster since 2013. Her other hobbies include meticulously over-researching minor purchases, crafting things she hopes to pass off as gifts, and dressing her cat up in silly costumes. How do subscribers rate Innocent Kit? Do you subscribe to Innocent Kit? Add your rating now!